Twenty-First Century Books (Tm), 9780822585800, 128pp. In North America, mosquito bites are usually only a nuisance. But in areas such as Africa and Southeast Asia, the bite can be deadly. There, many mosquitoes transmit a disease called malaria--and malaria can be a killer. In Africa, one child dies from malaria every thirty seconds. Worldwide, more than one million people die from malaria each year. What can be done to stop this global killer? This book examines how public health organizations work to protect people from malaria-carrying mosquitoes, how doctors care for people who do get malaria, and how researchers try to better understand and fight malaria. But malaria presents a complex puzzle for researchers. The parasite that causes malaria takes several different forms and can damage the body in many ways. Malaria does its worst damage among people in poor nations. These countries often have inadequate public health and medical systems, making prevention and treatment difficult. In addition, children who are sick with malaria cannot go to school. Adults with malaria cannot work. Thus malaria often pushes poor people deeper into poverty. Author Connie Goldsmith is a nurse and a medical writer. 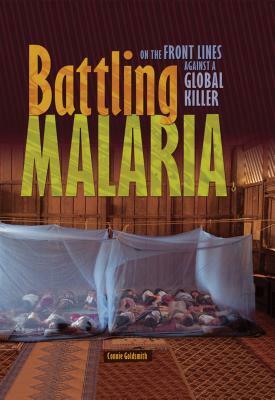 In Battling Malaria, Goldsmith tackles the topic with an expert's eye. She describes cutting-edge research, medications, and public health measures that might someday defeat malaria for good.